It is hard to tell when scale is plaguing your water supply at home since it accumulates in the interior of plumbing systems. The water in your pipes is not pure and carries some minerals, metals, and other elements. When it passes through your pipes, it builds up into scale, slowly shrinking the size of passable space and causing slow damage to your plumbing. Scale can also grow on your equipment and its parts, causing major operational difficulties. Thus, hiring a professional to address this problem is important. There are many solutions to scale, but you need to choose one that is safest for your household and your water supply. 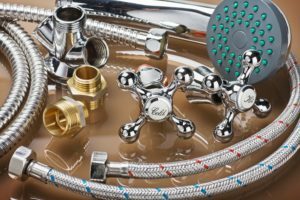 Scale is a buildup of minerals and other deposits in areas that come in contact with water, including pipes and plumbing fixtures. It occurs mostly when minerals, such as calcium and magnesium, are in a heated or pressurized area. Because it contains metal particles, it can cause certain parts of a pipe to corrode, resulting in severe damage. The only way to remove or reduce scale buildup is by water-softening. Plumbers and other home repair professionals may use chemicals in the process, but healthier, chemical-free solutions are available. Without repairs and other solutions, your plumbing system and connected equipment may take on several types of damage. Scale is a form of metal salt and can cause corrosion and erosion, especially to pipes that have too much buildup. A piece of equipment that uses water and has been running for a long time may also have the same result. When scale builds up, your pipes’ space becomes narrow, reducing the amount of water that could pass through. As a result, your pipe becomes less efficient, and you end up spending on pipes that do not carry as much water as it should. Homes with severe scale buildup could be spending a lot on water and maintenance costs. When you leave your pipes and equipment to collect enough scale, you risk worsening the damage on your plumbing system. If your pipes are often damaged and need too many repairs, you could be spending a lot on maintenance and repair services. It could also reach the point where addressing the scale problem and preventing future buildup might be more affordable than fixing or replacing the damaged pipes and equipment. Do not wait for scale buildup to worsen and affect your plumbing system, and inconvenience you and your family. If you suspect that your piping system and plumbing equipment at home are at risk of scale damage, call a professional immediately and have your plumbing checked. From pipes to dishwashers, heaters, and other equipment, Superior Water Conditioners provides reliable and efficient residential water treatment services in Fort Wayne. We dissolve existing scale and protect your systems from future buildup through non-chemical methods, keeping your plumbing’s life expectancy high and your water safe and healthy. Click here to learn more about our residential water treatment systems.